I saved 10% on my labor costs once I switched to a digital time card option with geo-tracking capabilities. Considering impending minimum wage hikes, saving on labor is more important now than ever. The software I used, timeclock.com, allowed my employees to clock in when they got to an event site and clock out when their shift was over, whether they left straight from the event site or went back to the commissary to unload. It’s not often you can create systems that enhance the ethical and cultural nature of your work while also making you money – it’s usually the other way around. If you send 200 plates to an event, make sure 200 plates come back. And if you end up short, make sure you know by how much. We used load sheets to track all tabletop and kitchen equipment going to and coming from every event. What happened when items went missing? We’d send a bill the next day listing the items and the client had 7 days to return them or get billed at 25% more than my cost. These terms were written into the contract and reviewed with every client so there were no surprises. Do this for every single item you put on the truck. Trust me. I added $100,000 back to my bottom line when I started tracking everything. I used to think the occasional missing fork or spoon was no big deal. What’s a dollar here and there? I learned, though, that “here and there” was actually happening a lot more than I thought. It’s pretty easy to keep track of your inventory, too. When you’re polishing your silver or either drying plates when they come out of dish or packing them up to return to the rental company, stack in 10s or 20s. Then wrap them or put in a re-sealable plastic bag. That’s it. 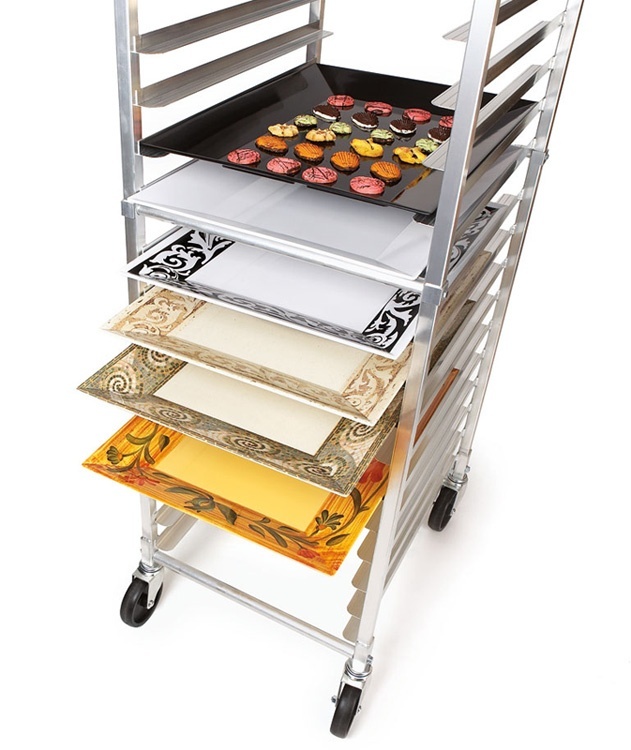 You can effortlessly fold this into your existing ops and save a ton of money. Sometimes plates can’t be returned because they’re not lost, they’re broken. I’d lose an average of 2 plates to breakage, chipping, or cracking every service. That’s why I recommend using alternative materials that offer operational benefits - for example, melamine plates instead of china. Melamine's natural break-resistant qualities significantly increase the amount you can profit from plateware rental charges - by 66%, in fact - because you replace it at such a lower frequency than china. That's a huge deal when you look at the long-term profit increases. Let's take a closer look in the next section. 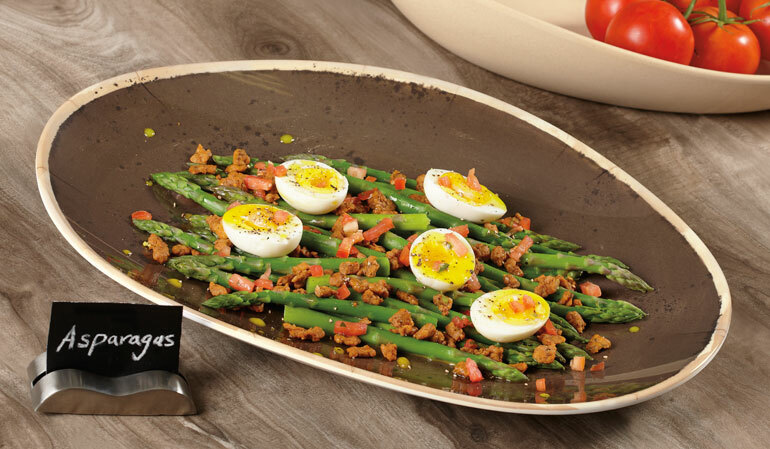 Featured: White melamine plates with textured rim from the Minski collection. 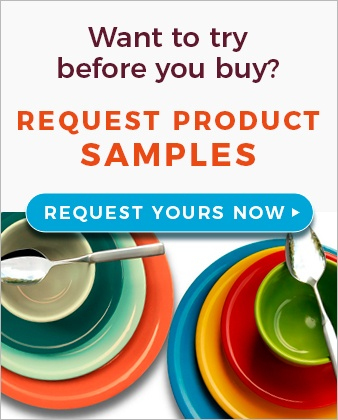 Request a sample. I’ll be honest. I didn’t realize that today’s melamine looks and feels just as good as china until I started my current venture. But wow, do I wish I had known about it! In terms of looks, today’s melamine dinnerware can hold its own next to china any day of the week. But it’s better than china because of its durability, which is where the substantial profit increases lie. If I’d known what I was missing, I’d have been replacing about one melamine plate every 20, 30 (maybe more) services instead of 2 china plates for every single service. If you run the numbers, which I did in a separate article, the difference in replacement rates works out to earning 66% more profit from rental charges by using melamine instead of china. Oh, to live and learn. Quality melamine isn’t necessarily less expensive than china for the initial purchase – in a lot of cases they’re comparably priced. However, because melamine doesn’t easily chip, crack, or break like china, its service life is significantly longer. You can even find beautiful melamine display and serveware, some of which are the same size as sheet pans, allowing you to go from speed rack to service in seconds. Just because I missed out on this fantastic way to increase my profit doesn’t mean you have to, though. Get some samples, most of which are free for commercial enterprises, and see for yourself how great this stuff looks. Try a sample: See for yourself how beautiful today's melamine is so you don't miss out like I did. You’re not just selling food when you cater. You’re creating experiences. And sometimes those experiences last a lifetime, like when you cater weddings. If you can find unique serveware, chances are the happy couple will want to keep it as a memento of their special day. You can let them know you’re happy to sell them any pieces they’d like, and you can bump up the price by about 15%-20% over what you paid to help you turn a profit. They get the pieces they want, you make money, everybody’s happy. 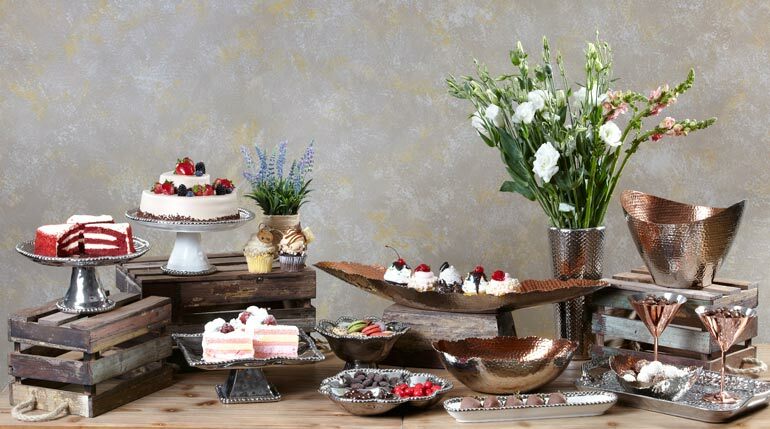 I’m partial to Pampa Bay serveware because I’ve never seen designs quite like it, and it’s perfect for weddings and other special occasions like Mother’s Day, Easter, Christmas, etc. I also like it because it’s titanium-plated porcelain, which means it won’t tarnish. I can store it between uses and it’ll look just as good at the next event as it did after the last one, which means I save on labor because my staff doesn’t have to take the time to polish for every event. Make sure your clients know this too, as it may encourage them to buy it and use it for their own special occasions. Featured: (foreground) Pampa Bay in white with silver beaded rim, (left) Pampa Bay in silver, (background) Pampa Bay aluminum with hand-hammered copper interior. 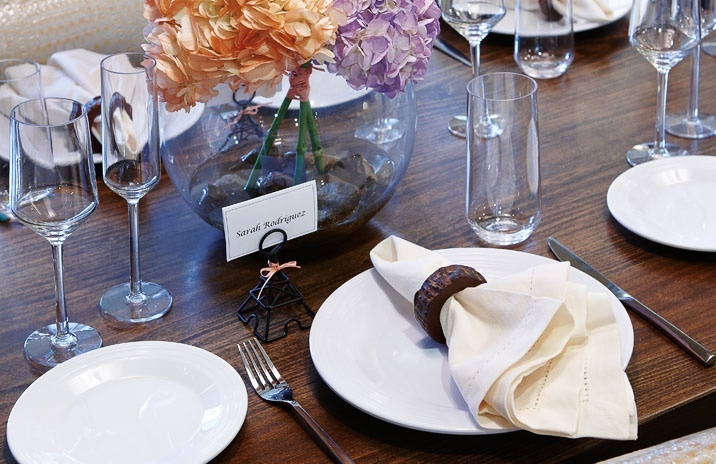 Beyond serveware, you should include a rental charge of about 20% more than your cost on chafers and plateware whether you rent or own them. This helps to cover your costs and turn a profit. 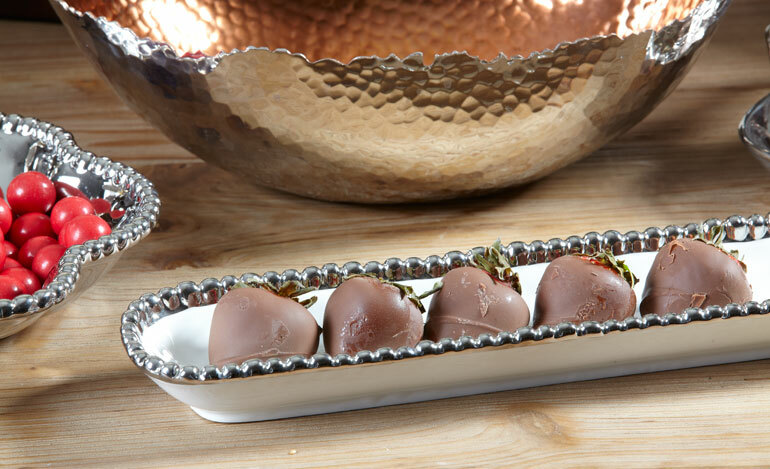 Featured: brown melamine serving tray with stoneware look from Osslo collection. The difference between renting and owning is that you’ll only make 20% profit when you rent, but if you own, you can make 100% profit once your initial investment is paid off. For plateware, that can happen as quickly as 3-4 services. Chafers take a little longer because they’re generally more expensive. If you bill your rental charges separately from the food, your client will understand the food cost better. You’ll likely be able to sell them more premium menu items because the cost will reflect what they expect to pay for food. When you bill rental and food charges together, it can sometimes give the client sticker shock. It doesn’t happen often, but occasionally you’ll have a client undercut their RSVP count thinking it’ll save them money. It doesn’t. The only thing it does is put their event in jeopardy of running out of food, which makes them and you look bad. To counter this, I decided to add a clause to my contracts (and of course, discuss with my clients) that says if their RSVP count is underestimated, I’ll have extra food ready to go, but they’ll be charged at 150% more than the quoted per-plate cost. The reason the upcharge is so high is because if I don’t serve the extra food, it goes in the trash and I lose all the money I put into making it (food and labor costs). But if I do serve it, none of their guests are the wiser and service runs smoothly. It’s basically an insurance policy that protects your costs and their event. You can easily reinforce this. If they say 165 people are coming, put out 165 plates. 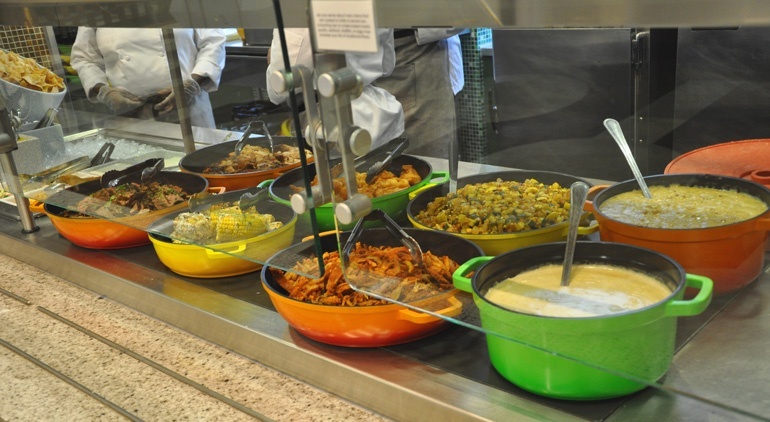 If the plates run out, but there are still 10 people in your buffet line, then you know you’ve gone over and by how much. Beyond profiting from selling unique serveware pieces to your clients, using interesting, trendy, or unexpected presentations sets your services apart from the competition. After all, why would someone hire you over the other gals if you’re offering the same look? I’ve already mentioned Pampa Bay as a favorite. 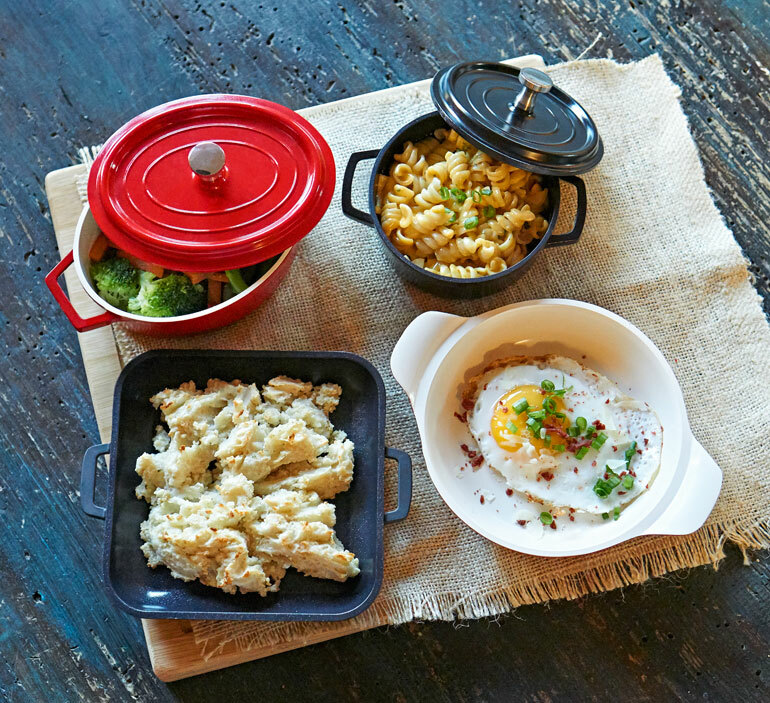 There’s also this really cool, new serveware on the market that looks just like enameled cast iron cookware. But the catch is that it’s made from aluminum, so it’s perfect for catering because it’s a fraction of the weight and it won’t cost you an arm and a leg to buy. Featured: cast aluminum cookware from Heiss collection. They come in charming mini versions, too. These little guys are absolutely perfect for dressing up individual servings of hot side dishes like mashed potatoes, Brussels sprouts, mac 'n cheese, lentils, etc. You can prep them ahead of time, keep them warm (see Tip #8 below), and set them out on a buffet in minutes. For full service, know that some of the minis come with lids, which you can use to enhance tableside service: Staff can remove the lid for the guest upon serving, releasing delicious, aromatic steam and engaging the guest in their dining experience. The minis are an effective, simple way to upgrade your presentation and set your service apart from the competition. Your clients’ guests will love the look of these, too, which puts you in a good position to sell more pieces and be the talk of the town for weeks after your event. You can’t buy good buzz like that. Featured: Heiss Minis in red and black. Request a sample. 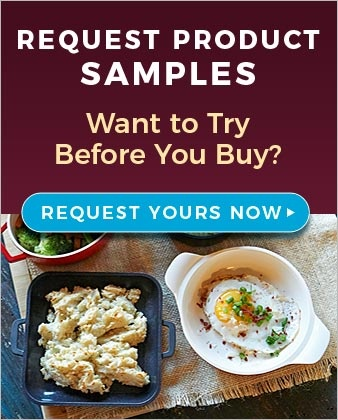 Order a sample of unique cast aluminum cookware or minis & see how much better they are for catering than heavy, expensive enameled cast iron. Set yourself up to roll in, roll out, and roll on. Featured: sheet pan sized melamine trays with modern patterns. I had a dozen hot boxes that I’d plug in either on the truck, when prepping onsite, or at the commissary. On the truck and onsite, it’s a quality control measure. I’m keeping food prepared ahead of time at temperature, which is necessary to serve food safely, but “hot food hot” is a common term for a reason. The food’s just better that way. Additionally, sometimes I’d prepare food to a halfway point at the commissary, put it in a plugged in hot box, then finish prepping when I got to the event. This allowed me to keep my labor costs in check because I didn’t need as many people that way. The better trained your employees are, the better service they’ll be able to give. I’ve learned that it doesn’t matter how good the food is if the service is awful. It will overshadow an entire event. Even with the best training program in the universe, if your employees aren’t naturally hospitable when you hire them, they never will be. You can train skills all day long, but you can’t train attitude. It’s not that folks who aren’t naturally hospitable people are bad; they’re just not a fit for the job. Look for people who freely smile, maintain good eye contact, and can easily hold a light conversation. Then train whatever else is missing from their skill set and you’ll be good to go. [Foodservice’s] annual hourly employee churn is about 100%. This rate is unsustainable for continued growth, untenable for manager tenure and unnecessary for forward-thinking operators. It’s a two-way street: Take good care of your employees and they’ll take good care of your business. I truly hope you’ve found this information helpful. I’m sharing because I’ll always have a sense of camaraderie with fellow caterers and these are all things I wish I knew starting out (and at least one I’ve learned since I sold my business!). I also got some good ideas about how to increase my profits by making a couple adjustments to my chafers from this article. If you’d like to ask me any questions or talk about some of your own insight and/or struggles, leave me a comment and I’ll be happy to reach out to you. Best of luck out there, folks!